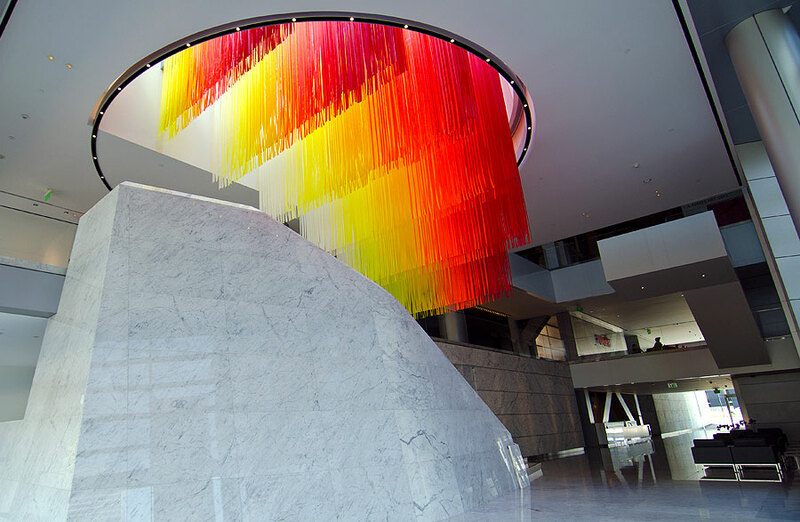 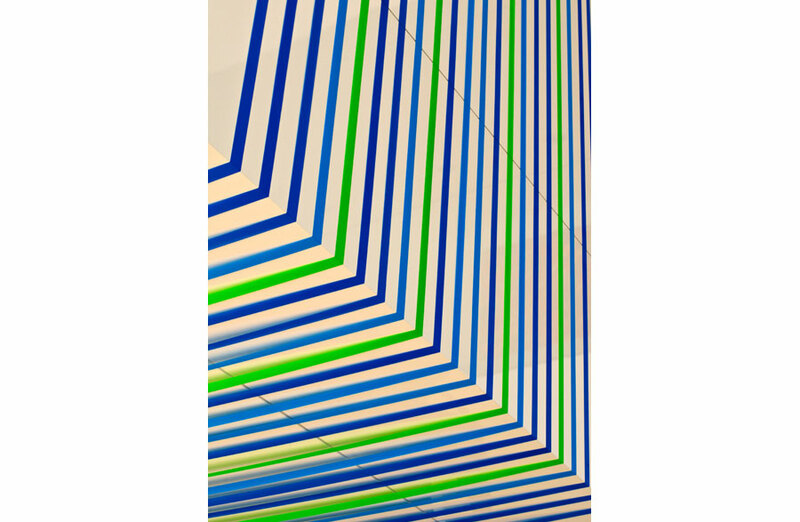 Custom designed for the west coast headquarters of the Creative Artists Agency (CAA), this piece created an iconic identity for the ground floor lobby. 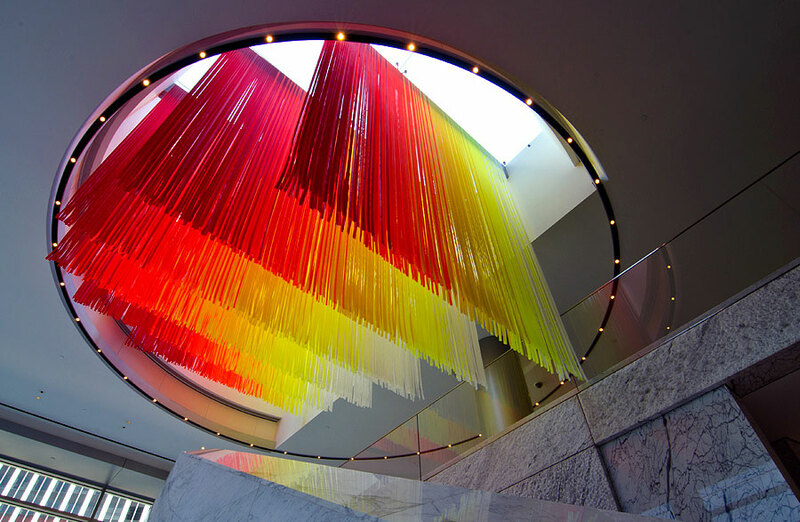 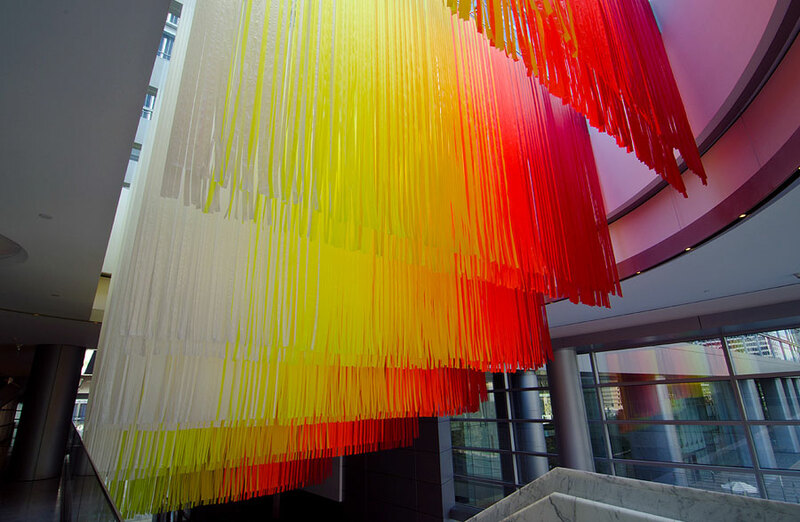 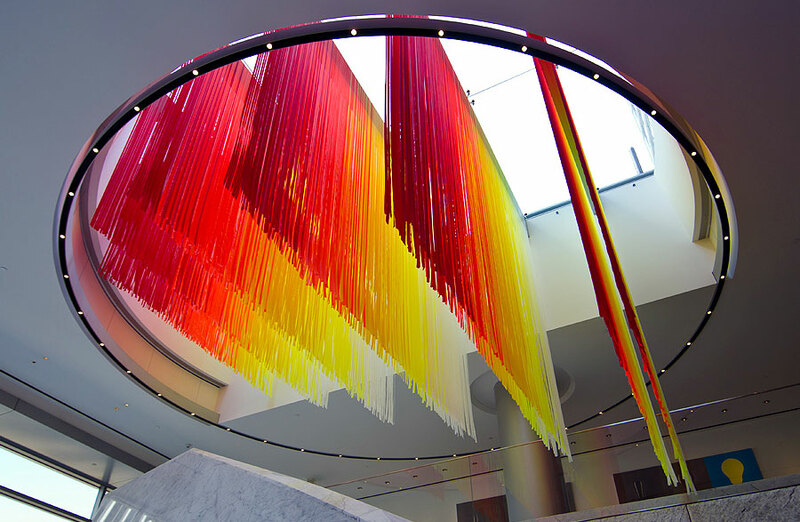 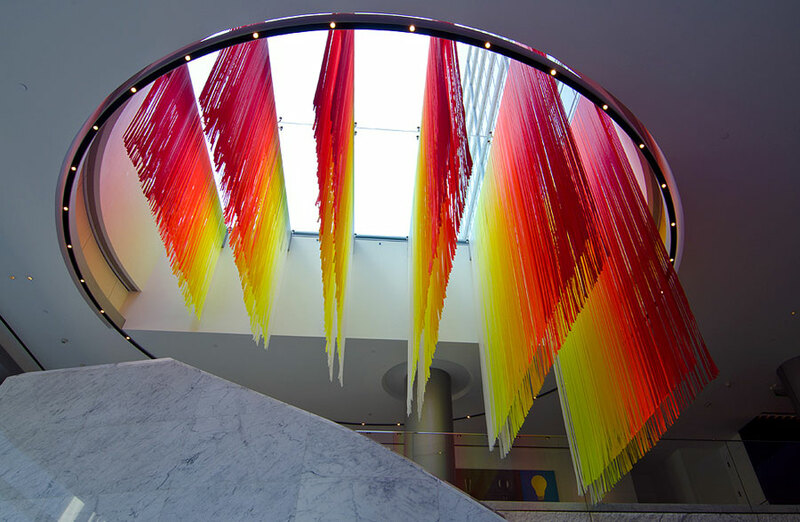 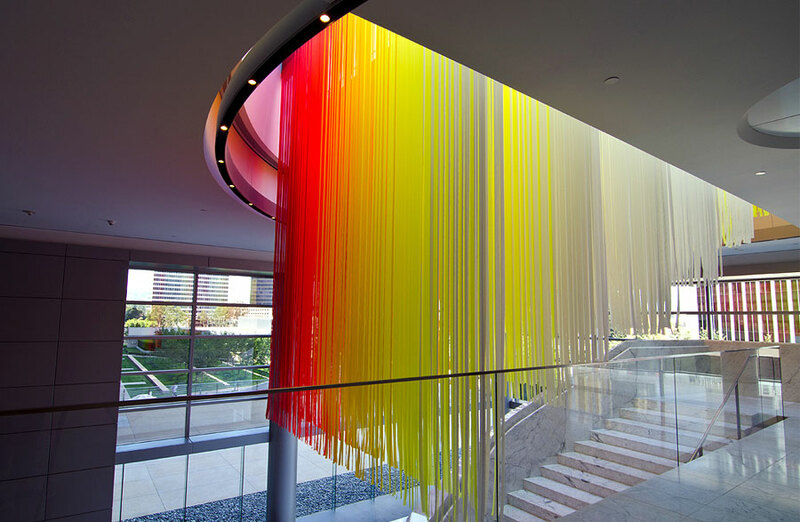 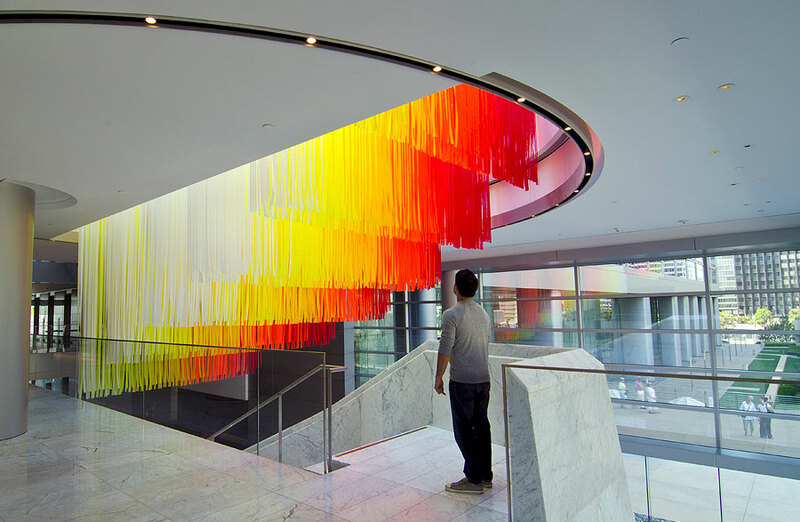 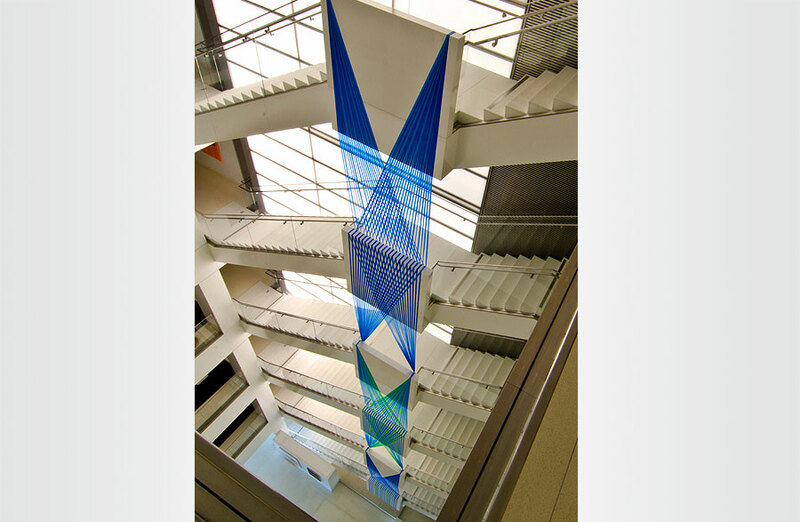 Guests arriving to the building are greeted by a bold statement artwork that is suspended from the skylight beams overhead. 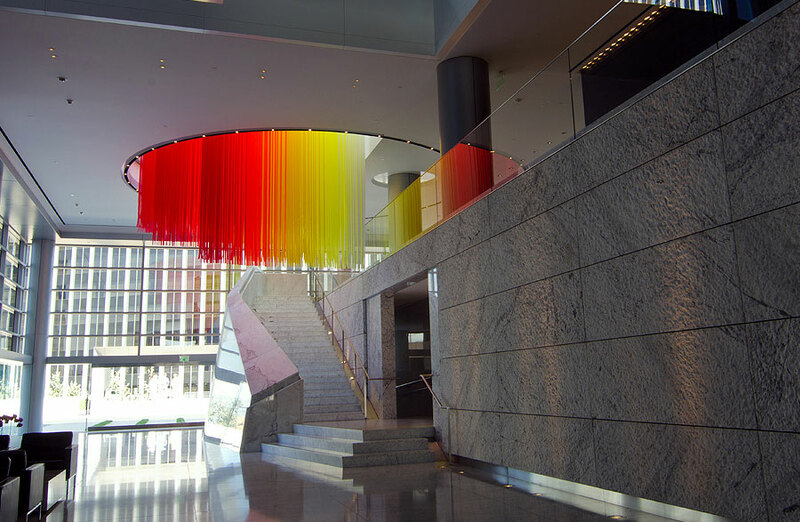 The color scheme was guided by the agency’s signature color of red and complimented by analogous hues arranged in a radial gradient. 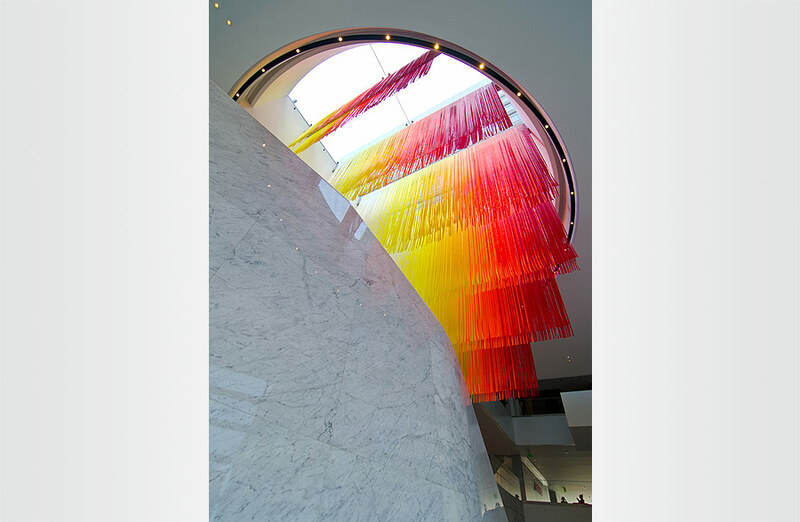 The layers of the strands draping from each skylight beam are cut to a 23 degree angle to echo the angle of the staircase located directly below. 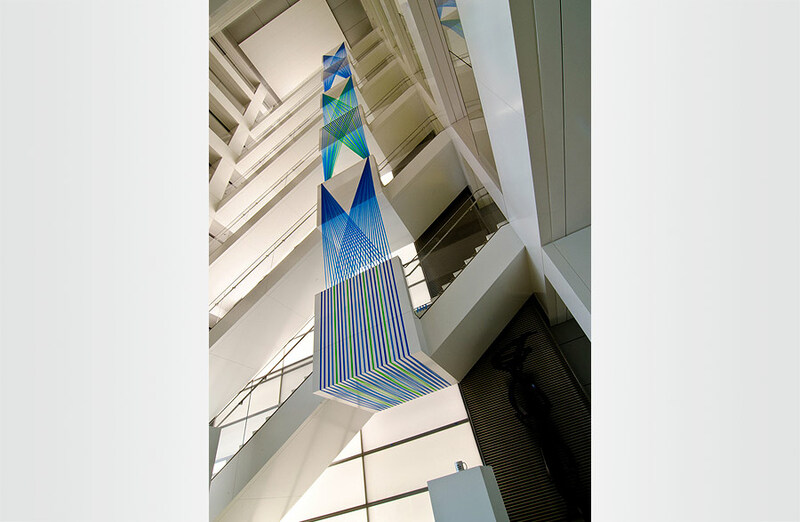 This section of the overall installation is upstairs in the stairwell atrium, vertically uniting floors two through six with a single design. 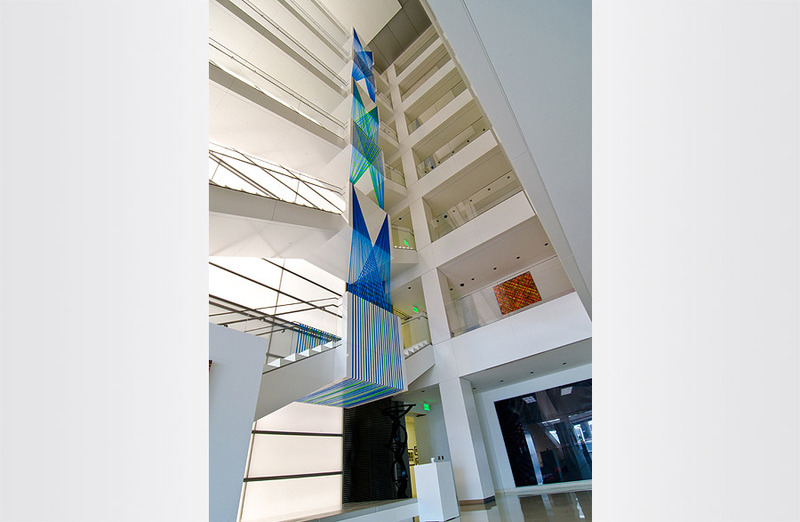 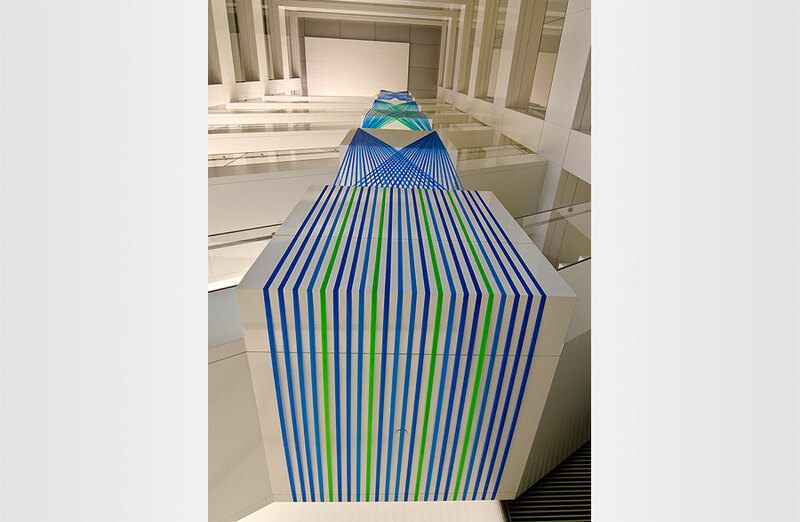 Unique perspectives are afforded by way of foot traffic up and down the stairs as well as by way of the elevators located directly across the atrium from the artwork. 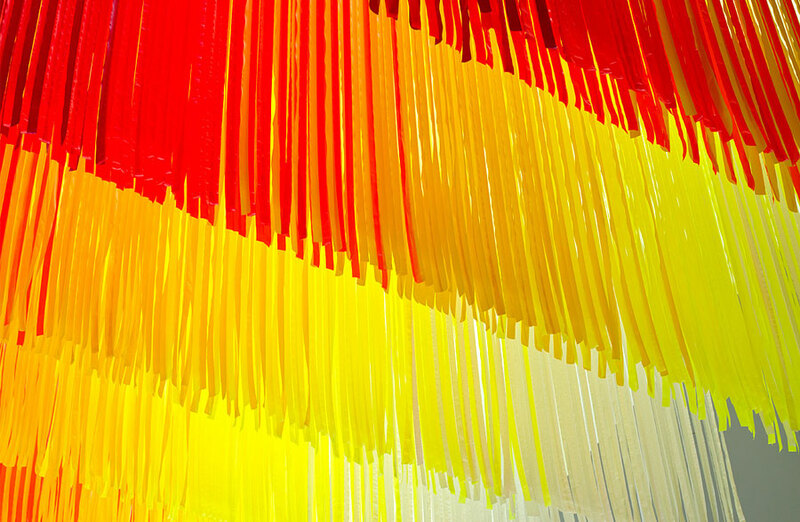 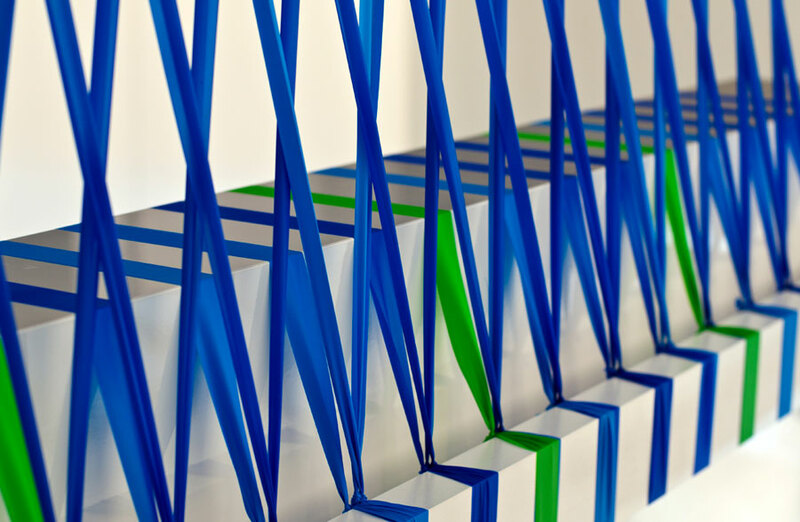 Megan Geckler “Lay it down and start up”, ©2011 from Megan Geckler on Vimeo.